ok, now that looks awesome! 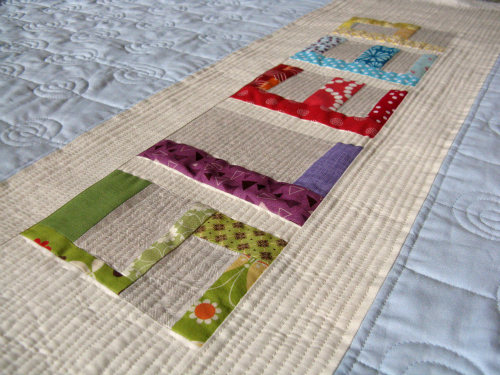 It looks so good and you are getting to be an expert at quilting! oh question, you've made pillows, if I was looking to make an envelope pillow cover - the front panel should be what like 20.5" squared for a 20" pillow form? I absolutely love this!! The quilting looks fab. It looks really great, Heather! Oh my! Gorgeous SLEEP! Love it! I stumbled across your blog through the quilting gallery website. I just love your blog! I am a lonely little modern quilter in the BC interior and just starving for your kinda blog stuff! I just started my own blog. Feel free to check it out: www.booilley.blogspot.com Thank you and I will be following your blog from now on! Jen said it - you have a serious talent for quilting heather! It looks amazing! Disregard my comment (which was to do THIS!!) AWESOME!!!! !